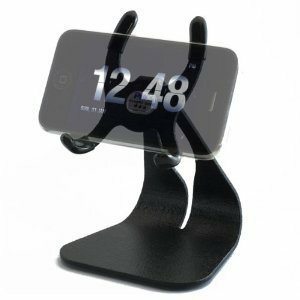 PED3-U Universal Steel Stand for iPhone 4: a sleek and solid portable stand for iPhone 4. 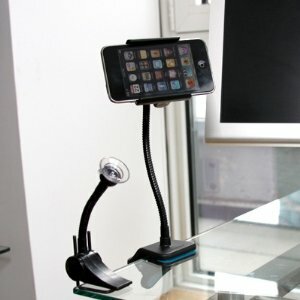 Keeps your cables out of your way and lets you view things on your iPhone in both portrait and landscape modes. 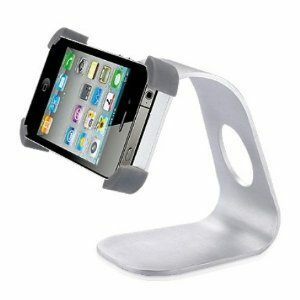 IN YOUR FACE viewbase flexible holder for iPhone: works with your iPhone and iPod Touch. Other smart-phones are compatible with this model too. This is without a doubt the most flexible stand on the market. 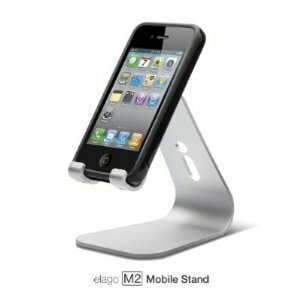 Elago M2 Mobile Stand / Dock For iPhone 4: a solid aluminum stand for iPhone that makes video calling and hands-free operation very convenient. You won’t even have to remove your case (in most cases) to use this. Konnet iCrado Plus Metal Charging Dock: more than just a stand, this dock charges your iPhone and lets you get a better listening experience from your device. 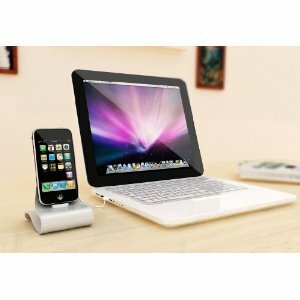 Titan iPhone 4 Desktop Multi-View Rotation Holder Stand: it is constructed from solid aluminum. It is very attractive and flexible and does not flip over easily, which is nice. A bit pricey though. What’s your favorite iPhone 4 stand?